What are the key findings of your research (in brief)? In the last few decades, the power industry has experienced huge technological changes. Traditionally, electricity consumers have been passive, supplied via centralised power stations. However in recent years people have started producing their own electricity using small-scale facilities, and effectively controlling their consumption, as well as actively taking advantage of electricity storage devices. 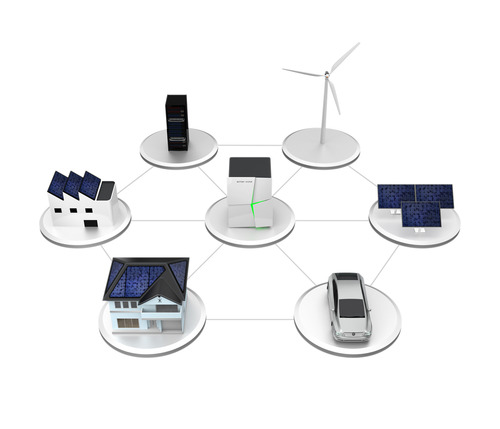 Distributed energy resources, such as demand response and distributed generation, can provide various services to the power system, e.g. load reduction, congestion management and frequency support. The same resources in the distribution grid are often suitable for both transmission and distribution system services. Both transmission and distribution system operators are interested in using these resources. In the presence of these two groups of buyers, service providers have room for strategic behavior. For example, if transmission system services normally receive a higher price, the aggregators would prefer to deliver transmission system services rather than distribution system services, which can result in fewer service providers or higher prices for the distribution system. This paper suggests a possible solution to this problem by creating a joint market for transmission and distribution system services. The essence of the market design is a simultaneous market clearing, when the bids from the common bid list are allocated to either transmission or distribution system services. This marketplace could be one common arena for all service providers to submit their bids (price, amount and location), while the clearing algorithm ensures that a sufficient amount of service is allocated for the needs of transmission and distribution system. Simultaneous market clearing will also ensure the lowest total procurement cost. The implementation of this market design is illustrated in the paper by taking two types of ancillary services in the context of the Danish power markets. A simplified power system is used to illustrate the market clearing and the benefits. Why do your findings matter? The need for new market solutions with respect to distributed energy resources is widely discussed in the scientific and business communities today. This paper suggests one possible joint solution related to the market design, and is also intended to promote a more holistic approach. How will this make a difference to the implementation of sustainable energy? Most of renewable energy sources are characterised by weather dependency and unpredictability. There is consensus in the power industry that the power system must become more flexible in order to handle this unpredictability. Some flexibility can be provided by resources in the distribution grid (demand response, grid storage, electric vehicles, distributed generation), but then this flexibility should be optimally allocated between the transmission and the distribution system needs. One possible way of an optimal allocation is the marketplace described in this paper: therefore, the proposed marketplace, as well as other solutions that increase power system’s flexibility, can contribute into making electricity production completely carbon-free. What are the next steps that need to be taken to push this research forward even more? By testing of the proposed market design using a real case study, and/or using real data to conduct a cost-benefit analysis. Aleksandra Roos is a PhD candidate at the Faculty of Environmental Sciences and Natural Resource Management at the Norwegian University of Life Sciences in Norway. Aleksandra holds a Master’s degree in Renewable Energy from the Norwegian University of Life Sciences and a Bachelor’s degree in Natural Resource Management from the Arctic University of Norway. From 2012 to 2016 she worked for a Norwegian innovation company Enfo AS that provides technical solutions and consulting services for demand response and distributed generation. Currently, Aleksandra is completing her Ph.D. degree in cooperation with a Norwegian IT-company Sysco AS, where she is employed at the data analytics unit. The PhD is financed through the industrial PhD program of the Norwegian Research Council.